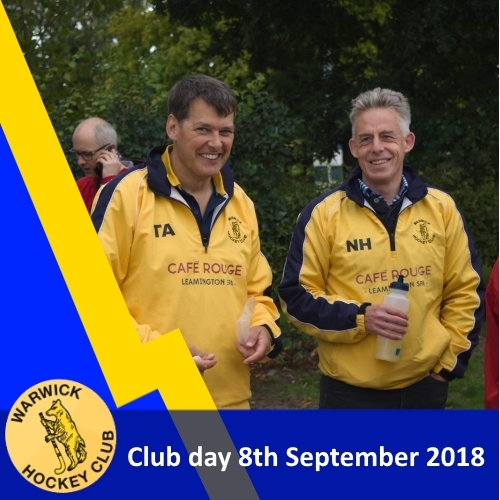 A fun filled day with hockey, fun games, food and time to catch up with existing members and greet newcomers. Toby Arnold, Nick Herd and our social sec's, Izzy, Harriett, Tristan and Phil did a great job of setting the the day up for us and we all had a great time. Also a big thank you to our sponsors and key suppliers for their support with club day and the coming season. Izzy writes "Thanks to everyone who turned up to this years Club Day. As ever its great to see members from all sections across the club come along for some social, yet competitive, hockey. Congrats to Team 1- the tournament winners. We particularly enjoyed seeing the 'big kids' fight for the top spot in the Bungee Run competition. The fun didn't end there! Many of us ventured to Leamington to continue the night! We hope to see you at our next social when the epic Battle of the Teams makes a return on the 20th October." Hope you enjoy the photos and videos below.